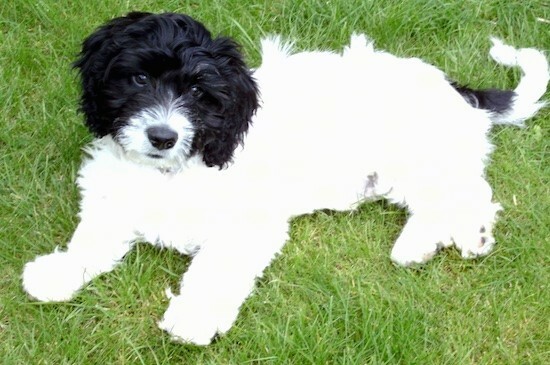 "Here's a photo of my beautiful Jordi as a puppy at 3 months old. His dad is a Springer Spaniel and his mum is a Bichon Frise. He's simply adorable. He has such a lovely temperament. He loves to play ball and going for walks. He's very easy to train and loves to please me."